This post was originally published on IHG’s blog on May 9, 2016. Planning a visit to London? After booking your flight and picking the perfect London hotel, the next item on the list is figuring out where to dine in this British metropolis. London is packed with everything from expensive, swanky restaurants to ultra-affordable, no-frills street vendors. The great thing about this city is that whether you dine in luxury or while just lounging on a park bench, you can enjoy some truly delicious food. But what should you eat while you’re there? You’ll be bombarded with international cuisine options and hearty English dishes everywhere you turn. Tantalizing smells will waft from street carts, cafes and restaurants alike, all of which make it more difficult to decide what to eat. But on a limited jaunt in this city, you’ll want to make your menu selections carefully. It’s important to enjoy the traditional flavors this city serves up without missing out on some of the more exotic offerings. To help travelers make the most of every meal in London, we’ve put together this hassle-free guide to the city’s best dishes. Use this menu to make sure you don’t miss out on the incredible flavors that London has to offer during your visit. 1. Perast – a unique town, guarded by UNESCO and by the affection of all those who have spent time there. It is thought to be the oldest human settlement in the Bay of Kotor – the remains of a Neolithic culture (3500 BC) and archaeological finds are evidence that the site where the town stands has been settled since Illyrian, Roman and early Christian times, right up to the present day. Perast is best depicted by its numerous important buildings – fortresses, churches, residences and museums testify to the turbulent history of this region, and to the rule here of Napoleon, the French, the Austrians and other conquering nations. Two small islands, called Our Lady of Škrpelj and Saint George’s, face Perast in the bay, lending the town a special charm and authenticity. 2. Mirišta and Plava Špilja – the former, an island close to Herceg Novi, on which the 14th-century Presentation of the Most Holy Mother of God monastery is situated (some even say it dates from the 11th century), the latter the “Blue Cave”, a unique natural feature on the Luštica peninsula. Two exceptional tourist attractions of this town which are well worth visiting. The entrance to the Blue Cave is guarded by cliffs reaching up to 40 metres above sea level. The deep blue emanating from the waters in the cave leaves visitors speechless. 3. Porto Montenegro Tivat – the most luxurious marina in the Adriatic. It has been built to receive mega yachts but also smaller sailing boats. This modern tourist complex was built to the highest architectural and engineering standards, whilst retaining Mediterranean charm and warmth. The marina is designed to provide fun and relaxation, with everything you could ever need all in one place, from numerous international restaurants, cafes, organic food shops, clothes shops offering top international fashions, pools, galleries and museums – everything you need for a quality holiday. The combination of quality service and the magical setting will afford you an experience that rivals any of the elite European tourist centres. 4. Sveti Stefan – the islet and the town sitting atop it. Once a fishing village situated on a rock just off the shore, connected to it by a narrow isthmus, in the seventies and eighties Sveti Stefan (Saint Stefan) became a famous resort for the world’s rich and famous. Famous actors, artists, kings and princes from all over the world have come to holiday in this magical seaside village, including, notably, Sophia Loren, who has been a frequent guest. Between the rivers Lim and Tara, in the middle of the Bjelasica mountain range, is the Biogradska Gora National Park, and within it, one of the last three European old-growth forests.This area has been protected since 1878, when it was encompassed by the so-called King’s Reserve – a gift to the then-king, Nikola. In the very heart of the forest, at 1094m above sea-level, is the Biogradsko Jezero lake. Its unique turquoise colour comes from the dense forest reflected in its waters. The woods are home to 86 tree species, many of them protected (incidentally, the Biogradska Gora National Park harbors 20% of all species endemic to the Balkan Peninsula). Nature-lovers can enjoy walksamong spruce, firs, beech, elm, oak and linden, while bird-watchers will want to look out for eagles and kites in flight. Large mammals include deer, chamois, bears and wolves. No less than 80 species of butterfly can be seen here too – 40% of all the species present in Montenegro. The post below was originally written by Mila Bozic and published on May 13, 2016. Kumbor is a quiet and secluded coastal village close to the town of Herceg Novi, between Meljine and Bijela. It is currently the site of the largest tourist investment in Europe – called Portonovi. The first guests are scheduled to arrive at this, the first One and Only resort in Europe, in May 2016. The company Socar owns eight other exclusive holiday complexes around the world, in the Bahamas, South Africa, Dubai, the Maldives and Mauritius. All of them are found in the most beautiful locations around the world, each of them permeated by a unique authenticity which reflects the styles and features of the local culture. The company Azmont Investments will invest €500 million in the construction of the luxury Portonovi complex, which will be around 190,000 square metres in area. Construction is planned in this beautiful Mediterranean village of a five-star hotel, two sandy beaches, a spa and wellness resort, a conference centre able to receive 1,200, 100 luxury villas on the beach itself, villas with mountain and sea views, the Portonovi marina with 250 moorings for megayachts, the Portonovi beach club, the Portonovi VIP yachting club, a tennis club and a helipad. Small squares and streets will be lined with over 100 shops, clothes boutiques, bars, restaurants and cafes. There will also be botanical gardens and a public park with a children’s playground and an array of monuments, and the 16th-century Saint Neđelja chapel will also be preserved. There will also be two open-air pools and two kilometres of the Lungomare promenade which will be open to the public. A fish and organic produce market is also planned, where fresh fish and locally-grown seasonal fruit and vegetables will be sold. There will be police and fire stations, as well as a sea rescue service. A water taxi will also be available. Work on this project began on 15th August 2013, with more than 3,500 workers employed on it. Not every trip “out west” needs to empty your wallet and your savings account. In fact, there are plenty of adventurous destinations in the west that are affordable, uncrowded, and full of awesome outdoor activities for you and your traveling family. These five budget-friendly destinations offer everything you need to make the most of your adventure-based getaway. Missoula is one of Montana’s most underrated cities. This hip town and its active residents are fueled by its surrounding scenery, littered with mountain peaks, rivers, and forests. Visitors can stay in the heart of downtown — minutes from some of the world’s best mountain biking, fishing, kayaking, rafting, hiking, horseback riding and more — for an affordable price any time of year. Opt for the budget-friendly Holiday Inn Downtown for gorgeous river views and a location that’s within walking distance of some of the city’s favorite sights. Rapid City, S.D., is known as the home of Mt. Rushmore, but adventures extend far beyond the historic monument. Adventurers will find endless fun mountain biking, fishing, hiking, geocaching, horseback riding, and kayaking among the gorgeous scenery of the Great Plains and the Black Hills. Even better, you can stay in the center of town or inside the famed Black Hills National Forest on any budget. Moab is a place that adventure lovers dream about. Staying seconds from what are known as the greatest mountain biking trails in the world doesn’t have to cost an arm and a leg despite Moab’s standing as an outdoorsy “resort town.” Stay close to the downtown museums, restaurants, and outdoors stores or walking distance to the area’s best parks and trails; you can always find an affordable place to rest your head at the end of a day filled with adventure. Escape the hustle and bustle of Denver to discover the White River National Forest and all of the adventures available at the Vail Ski Resort. You don’t have to pay outrageous resort prices to enjoy all of the mountain biking, hiking, golfing, and whitewater rafting adventures Vail offers in spring and summer. Instead, opt for one of many more affordable options, like the Evergreen Lodge, to stay minutes from the mountain town’s best features for an unbelievably affordable price. Roseville is just 30 minutes from Sacramento, but it’s one of the best places to escape the stresses of city life in California. The area is known for its pristine golf courses, artsy downtown area, abundance of museums, and parks and trails that make for pleasant bike rides, runs, and hikes. Your budget-friendly hotel in the heart of Roseville will also place you minutes from the Folsom Lake State Recreation Area, where you can boat, swim, kayak, and fish on hot, dry summer days in California. Opt for a stay at the Extended Stay America or Residence Inn by Marriott Roseville for easy access to downtown and the outdoors. The post below was originally published on Hipmunk’s Tailwind blog on January 21, 2016. While some airlines have distinguished themselves with awesome in-flight entertainment options or stellar amenities in first, business, and economy class, for the most part airline food has failed to keep up with these new high-end innovations. Until now. That’s right: Airlines are officially improving their menus, especially on domestic flights. From using fresh ingredients, to offering healthier options, to recruiting talented chefs to revamp their menus, airlines are going out of their way to make their food better, reports USA Today. It’s hard to say exactly why airlines have suddenly started to up their food game, but odds are good that the increasing presence of higher-end eateries in airports and consumer pressure are big factors. Airlines are finding that better food options result in higher online ratings and can offer a competitive edge in a review-happy marketplace. Here’s how that translates into better options for you. Who benefits the most from improvements to airline food? Travelers, of course, in the form of fresher, more diverse, and more flavorful fare. Here’s an airline-by-airline preview of what hungry travelers can expect. In an effort to provide healthier food options to passengers, American Airlines has added seasonal vegetables to its food options on several domestic, first-class flights. (The new dishes are inspired by restaurateur Sam Choy.) The airline is also in the process of revamping its first-class menus on other domestic flights by adding options like beef filet, shrimp and grits, and mac ‘n cheese. To top things off, American is featuring snacks from gourmet grocer Dean & Deluca—think raw almonds and spicy Cajun snack mix. In order to reflect and celebrate the airline’s home city of Seattle, Alaska Airlines now invites economy passengers to purchase Vietnamese banh mi sandwiches or other multi-ethnic offerings during their flights. The airline has also recruited acclaimed chef Tom Douglas to develop its hot meals (which are available for sale on any flight longer than 2 ½ hours), and works to source local ingredients from its many destinations. In November, Delta doubled the number of menu items offered to its first-class passengers on domestic flights. Entrée choices now include restaurant-worthy dishes such as grilled shrimp with roasted corn and tomato salad and lemongrass chicken with a Japanese Cobb salad. Delta is also upgrading its fare on transoceanic flights by introducing a seasonal rotation of menus influenced by various regions. JetBlue is taking fresh in-flight food to a whole new level. The airline has gone so far as to open its own farm and garden at JFK’s Terminal Five, dubbed T5 Farm. The farm has been developed in partnership with GrowNYC, an NYC-based nonprofit that works to support the development of gardens and farmers markets throughout the city. The goal is for the farm to provide food that’s ultimately incorporated into the airline’s in-flight meal options, such as potato chips made from the farm’s own blue potatoes. In addition to potatoes, the farm will also grow herbs, leafy greens, carrots, and beets. If all goes according to plan, these items will make their way into JetBlue’s edible fare over the next few years. United has decided to offer fancier menu items, such as roasted duck and flatiron steak, in its first-class cabins. The airline is also using cage-free eggs in its economy-class entrees on domestic flights (as well as on international flights that depart from airports in the U.S.), and it’s attempting to add more flavor to its lunch and dinner options for first- and business class customers by infusing dishes with spices and aromatic herbs. To top things off, the airline has started to serve food in first-class cabins on a larger number of flights (even those that don’t take place over traditional meal times). In addition to their custom initiatives, many of these airlines have also begun offering a healthier paid food option to passengers in the form of snack boxes. Delta’s Eat Tapas, JetBlue’s Pump Up box, and United’s Tapas Snackbox all contain hummus, crackers, olives, and perhaps some nuts. The airlines then put their own twist on the tapas concept by adding in supplements like pepper and artichoke dip (Delta) or roasted fava beans (JetBlue). It’s not only U.S. carriers that are getting in on the action. Take just two international examples: Aer Lingus allows its passengers to pre-order traditional foods and meals, including Irish Breakfast. And British Airways is committed to offering a fresh snack or meal on every flight within Europe. So rest easy, travelers: Your plane ride is likely to come with better food options in the (very) near future. The post below was originally written by Mila Bozic and published on May 10, 2016. Nashville is the second-largest music recording and production center in the United States. Music is a crucial reason why this city became one of Americans’ favorite travel destinations. In addition, historical events and buildings related to the Civil War period urge visitors to dive deeper into the heart of this city. 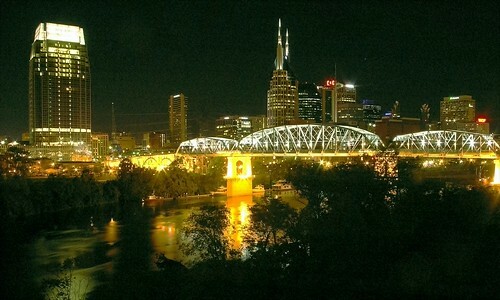 Besides excellent dining places where you can savor local specialties, Nashville has cozy and comfortable hotels. Check out some of the best attractions you shouldn’t miss in Nashville, and where to stay to see them, below. 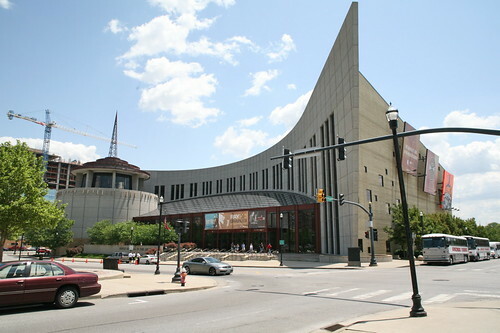 Many distinguished names in country music find their places in the Country Music Hall of Fame and Museum, which was founded in 1967. If you are interested to find out about the origins of country music, this is the place to be. Country music has always been an important part of the U.S. national identity, so one of the best ways to check out Nashville is to understand its history. Indeed, Nashville represents the Southern spirit in the best way. Located in the heart of downtown Nashville’s arts and entertainment district, choose hotel accommodations in downtown Nashville. You’ll have the best time that can be had in Nashville if you join the General Jackson Showboat in a one-of-a-kind 300-foot-long paddlewheel riverboat — the largest showboat in the world. This incredible boat will show you all the secrets of Nashville’s marvelous Cumberland River and local flora and fauna. Visiting the General Jackson Showboat will give you an unforgettable time. Located northeast of downtown Nashville, choose hotel accommodations near the Opry Mills Mall. 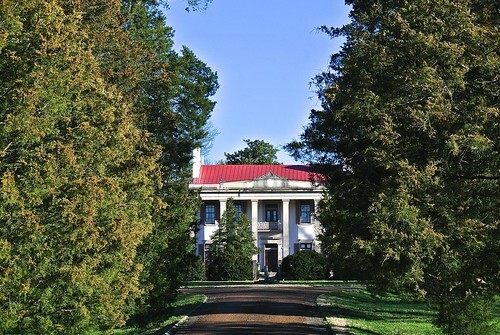 Romantically wandering through magnolia trees and enjoying beautifully restored mansion is what the Belle Meade Plantation Tour is all about. The house has irresistible antebellum charm, and its interior is elegantly decorated. Explore the Harding family plantation’s stables, renowned for the breeding value of the thoroughbred horses they produced: Many famous horses, including Secretariat, Seabiscuit, Funny Cide, and Smarty Jones, have originated from this property. Also, don’t miss seeing the decorative antique carriage collection. Located southwest of downtown Nashville’s arts and entertainment district, choose hotel accommodations in the Belle Meade community of Nashville. World-famous artist Johnny Cash flourished during the 20th century, becoming one of the best-selling musical artists of all time. Nashville is home to the Johnny Cash Museum, where visitors can see stage costumes, instruments, personal letters, artwork, and handwritten lyrics that belonged to this international icon. If you are traveling with children, this family-friendly museum suits visitors of all ages. Your family will forever remember this interesting journey, especially if you purchase souvenirs and collectibles to commemorate your trip. All these outstanding experiences can be part of your next journey to Nashville. Why wait when you can start planning your trip to see these wonderful sights now? Located in the heart of downtown Nashville off of Broadway, choose hotel accommodations in downtown Nashville.